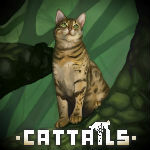 Count until Beka posts | Cattails: Become a Cat! Cat Lover, Warriors and Wings of Fire Fan, Beta Tester. Avatar drawn by aelou. This is like DuckGoesRawr's game Avoid Falcon Development. People count starting at 1 until Beka posts on here then we start at 1 again.